This knife sheath is hand stitched of oiled buffalo leather, over a sturdy form fitting frame of vegetable tanned leather and features and inlay of Hitched Horsehair, a deer antler button and antique turquoise and bone beads. The the hitched horsehair inlay is 24 rows per inch using natural white and black tail hair. I dye white hair to get the colors. 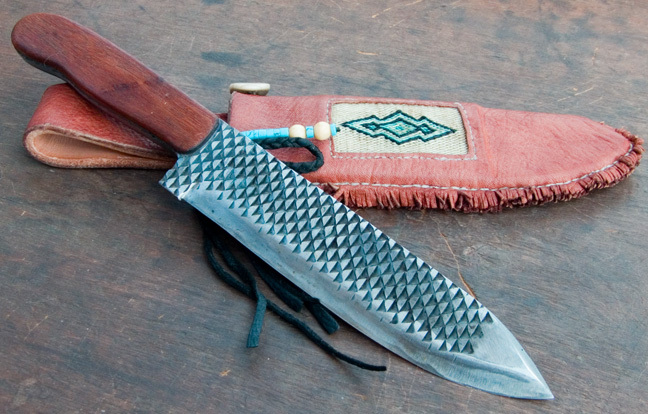 The knife was made for me from a used hoof rasp!